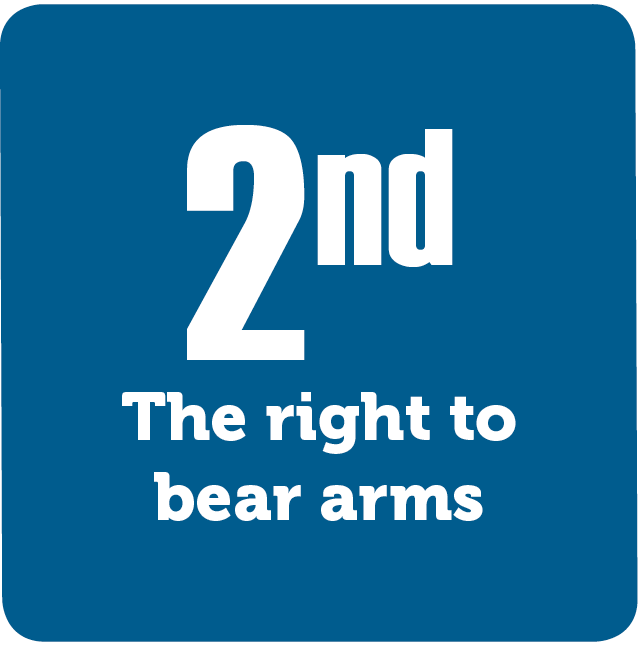 The Second Amendment protects the right to own and carry firearms. The text of the amendment refers to a “well regulated militia” and “the people.” This has led to much debate as to whether the Founders granted this freedom to all citizens, or just citizen-soldiers. The Supreme Court has decided that this right applies to most Americans. Gun control laws are the responsibility of the individual states.